Today only you can get the Arlo Pro security system for $270 off. Perhaps it's been on the books for months, perhaps Netgear wanted to apologize for its outage this weekend. 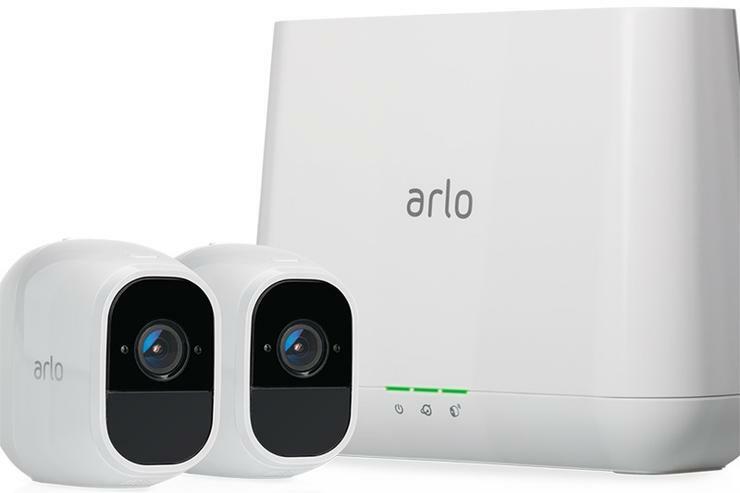 Whatever the reason, Amazon’s deal of the day includes deep discounts on a number of Arlo by Netgear home security devicesRemove non-product link including camera kits, camera skins, and camera mounts. All the deals expire just before midnight Pacific on Monday night. Our top pick is still a little on the pricey side, but it’s one heck of a deal compared to the previous price. The Arlo Pro Security System with Siren includes five HD cameras and is on sale for $550. That’s way down from the previous price of $820–a difference of $270. This kit comes with the aforementioned cameras, the base station, and siren. The cameras are weather resistant for indoor or outdoor use, record HD video, have night vision, and offer 130-degree wide-angle views. The system also features two-way audio, local backup capability via USB external storage, and you get rolling 7-day cloud recordings including live streaming. If you’ve already got the system but would like a few extra HD cameras they're available today for $100 each. These are usually $140 on Amazon, so you’re saving a solid $40. The cameras comes in white, but if you’d rather see them in black you can get a set of black skins for Arlo Pro cameras for $18. They’ve been sitting around $24 the last few months so you’re only saving about $6, but it’s still the best price we’ve seen since last summer when the three pack was $14. Those are just some of the deals available though. Check out Amazon's one-day Arlo home security sale for even more.